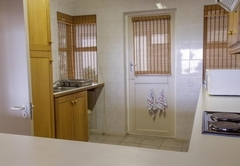 Windsor Self-Catering Apartments is a property providing self catering in Hermanus for tourists visiting the Cape Overberg region. 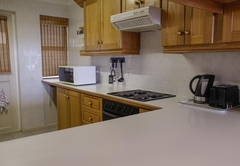 Windsor Self-Catering Apartments consist of eight fully equipped spacious self-catering apartments with spectacular sea-facing views situated right next door to The Windsor Hotel. 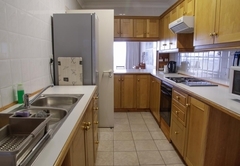 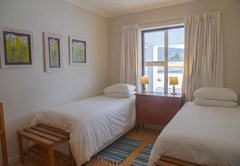 The apartments offer good old fashioned comfortable accommodation in Hermanus. 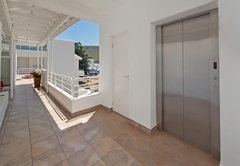 There are three 2 bedroom apartments and five 3 bedroom apartments available. 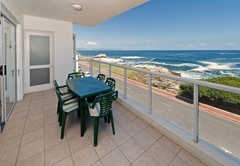 Consist of a sea facing lounge area and a balcony with braai facilities . 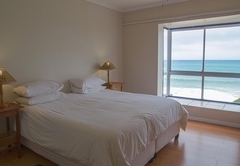 The main bedroom has a double bed and the second bedroom which is not sea facing has twin beds. 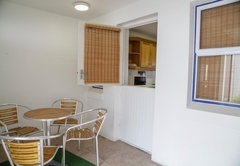 There are two bathrooms, one with a shower and the other with a bath. 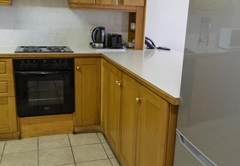 The lounge offers DStv and there is a fully equipped kitchen and a lock up garage. 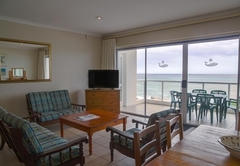 Consists of a sea facing lounge are and a balcony with braai facilities. 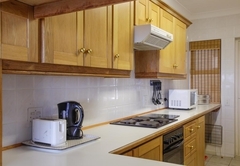 The main bedroom has a double bed, second bedroom also with a double bed and the third bedroom has two single beds. 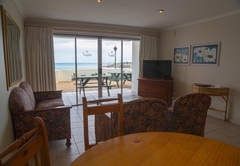 More than 300 activities include whale watching, shark cage diving in Walker Bay, abseiling, treetop tours, quad biking and a 27 hole Hermanus golf course. 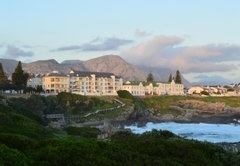 Discover our wine route, art route, speciality shops and pamper boutiques. 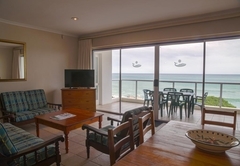 Escape to nature and breathe the champagne air along our spectacular cliff paths. 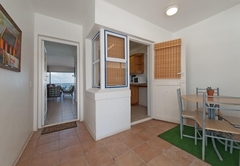 Meet the world’s only Whale Crier as he alerts you to the whereabouts of the whales by blowing his kelp horn. 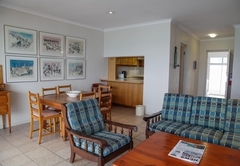 Admire the diverse floral fynbos kingdom while hiking or biking in the Fernkloof Nature Reserve or laze on one of our pristine Blue Flag beaches. 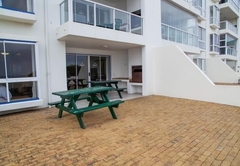 Consist of a sea facing lounge area and a balcony with braai facilities . 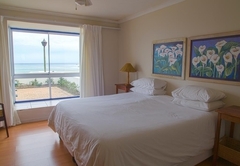 The main bedroom has a double bed and the second bedroom which is not sea facing has twin beds. 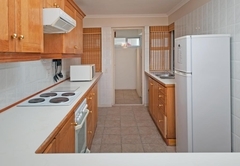 There are two bathrooms, one with a shower and the other with a bath. 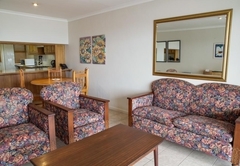 The lounge offers DStv and there is a fully equipped kitchen and a lock up garage. 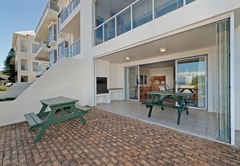 Consists of a sea facing lounge are and a balcony with braai facilities. 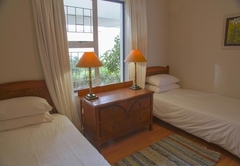 The main bedroom has a double bed, second bedroom also with a double bed and the third bedroom has two single beds. 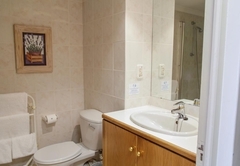 There are two bathrooms, one with a shower and the other with a bath. 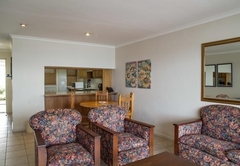 The lounge offers DStv and there is a fully equipped kitchen and a lock up garage.